Regrowing Eden » Blog Archive » GMO in Brazil – a highly political issue! GMO in Brazil – a highly political issue! During our stay in Brazil, we talked to many scientists, artists, NGOs, media and politicians. We gave an extra-performance for 200 government-officials, and as the media of Parana, television and newspaper, was broadcasting our art-project, there were people passing by to have a look. 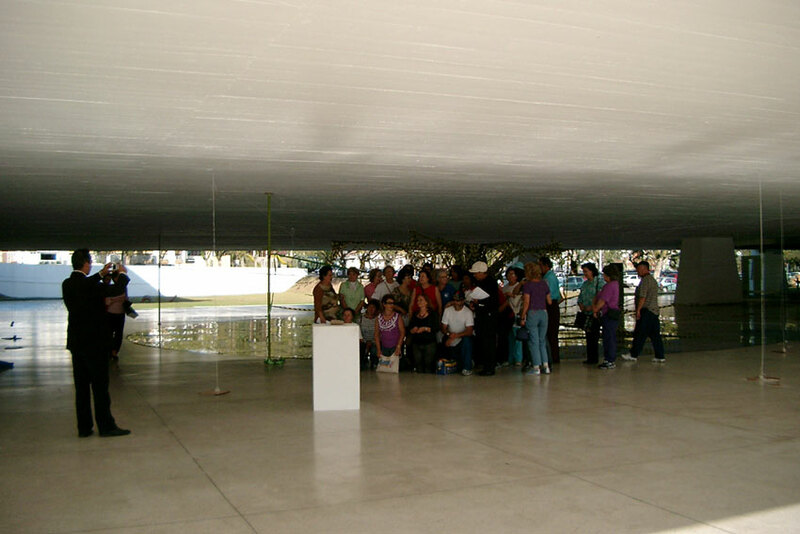 Many visitors of the Museum Oscar Niemeyer in Curitiba have seen our installation and taken our information-flyer – in all, we had very lively discussions about art, science, politics and the pro and contra of GMO. 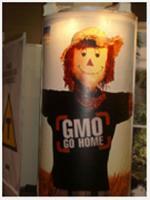 During Eden no Brazil, we experienced the social discourse on GMO as highly political! In Switzerland, you won’t find GMOs – neither in the fields nor in the supermarkets. So far, people just don’t want it. Now, after 5 years of a GMO-moratorium after a national plebiscite, fierce discussions about small-scale field-experiments planned for 2008 are mounting… In Brazil, GMO-plants on the fields and in the supermarkets is reality. Even before 2003, when GMOs were illegal to plant, GMO-soy and corn was growing on the fields mainly of large-scale agro-industrials in the South of Brazil. According to a federal law, consumer-products containing GMOs have to be labelled – but none of the Brazilian states has implemented the law so far. Apparently, economic factors and corporate lobbying practices were stronger than the scientific considerations and the demand of Brazilian scientist community for a proper GMO-risk assessment prior to the commercial GMO-release. Today, depending on the crop, season and state, up to 60% of the plants on the fields are “transgênicos” (mainly soy in the south and more and more in the Amazon, increasingly sugarcane for “biofuel” in the north, corn and cotton…). GMO is the national standard – but one state (Paranà) seems to question this doctrine. For years, Roberto Requião/Governor of Paranà, tries to maintain a minimum segregation of the agro product-streams (separation of GMO and Non-GMO) and therefore fighting a fierce political and legal battle against GMO (see blog Port of Parana). Paranà was the first state to implement the national GMO-labelling-decree, but the Supreme Court stopped the implementation-procedure. Some years ago, Paranà expropriated Syngenta because of illegal GMO-plantation and carried out a broad info-campaign against corporate influence. We experienced the social discourse on GMO in Brazil as very political and emotional. Main arguments in favour were increased profits for mechanised large scale farmers and secondary job-opportunities (like loading/shipping in the ports), arguments against GMO were neo-colonialism by transnational corporations, unequal distribution of benefits from gene-technology and lack of public information and to a lesser degree the unknown risks for environment and public health. 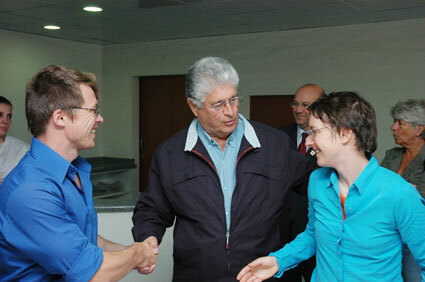 For us, the artistic and political discussion with Brazilian artists, politicians and scientists was very interesting. 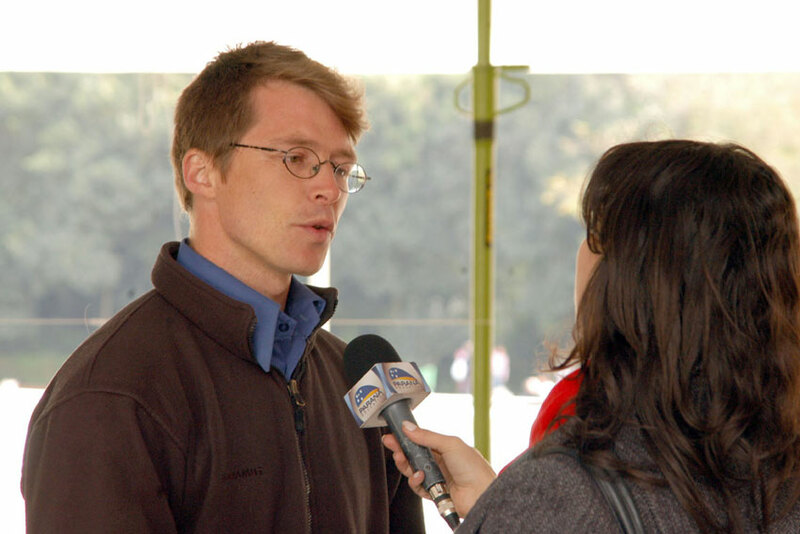 The people were really open to talk to us and to help us to get an impression of the brazilian discourse. As GMO is a priority-issue for the Paranà-government, we could experience great support for our art-science-project on GMO. Without the political support of several governmental bodies, inclusive the Museum Oscar Niemeyer as part of the Paranà cultural-department, we could’nt have organised and realised our Eden no Brazil (“transgênicos”) in such a short time! Apart from the political debate around GMO we had interesting discussions about our artwork itself. For the Museum Oscar Niemeyer it was the first time to have Performance and Live-installation in the programme, apparently! We had many interesting discussions with brazilian artists about art in general, our way of performing/doing art and the delicate balance between art and politics. Many thanks to Margit, Octavio, Toni Camargo, Juliana, Marcos, Goto and everybody for this! We also want to thank to all our supporters that made our stay and artwork in Brazil possible! Posted in blog, Brazil | Comments Off on GMO in Brazil – a highly political issue!